It was the one sequel that was left on the sidelines during Sony’s E3 showcase, but make no mistake, there’s a crackle of excitement swirling around Gravity Rush 2, the physics-defying sequel in the works at Sony Japan Studio. Heralding the return of clumsy amnesiac Kat, story details remain thin on the ground for the time being, but unlike its forebear, Gravity Rush 2 is being built from the ground up with PlayStation 4 in mind, allowing the team at Japan Studio to broaden its proverbial canvas. That’s according to Creative Director Keiichiro Toyama, who took to PlayStation Blog to reveal new screenshots for the upcoming sequel. Here, Toyama-san touches base on location scouting, alternate gravity styles, and why PS4 has afforded the team with the necessary resources to craft a world that is bigger and better. 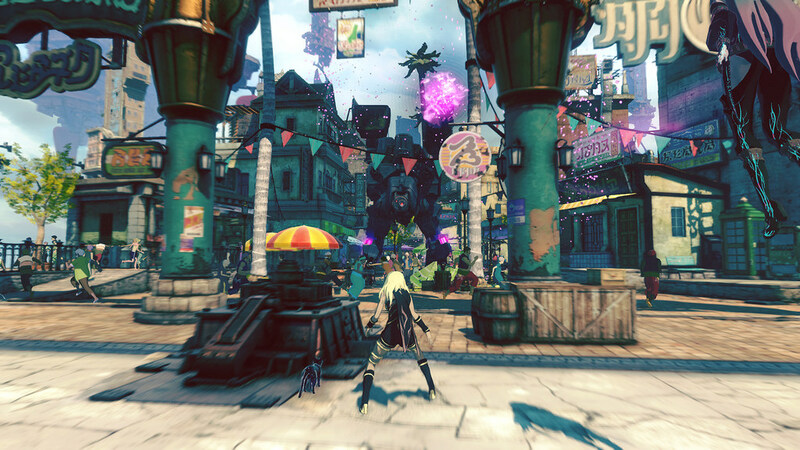 When it comes to the creative influences that had a bearing on the development of Gravity Rush 2, Keiichiro Toyama points to both Kamen Rider and Sailer Moon. Gravity Rush 2 is pegged for release on PlayStation 4 but there’s still no word on a due date. For more on Japan Studio’s mind-bending sequel, check out our hands-on preview from straight from the show floor of E3.